There’s no better time to be a digital merchant, especially if you’re doing business in the UK. And sure, it’s no secret that e-commerce sales on consistently the rise year-over-year. Yet also consider that e-commerce in the UK encompasses 17% of retail sales, nearly double that of the United States. In fact, when it comes to revenue, 8% of Europe’s fastest growing companies and start-ups are in the retail and e-commerce sectors. While there’s a massive window of opportunity available for merchants of all shapes and sizes, this also means the field is getting more and more crowded. As such, every tiny conversion optimisation improvement you can make has the power to boost your business dramatically when it comes to your e-commerce site. From having a specific organic search strategy to keeping your visitors glued to the page, even the smallest element can be make-or-break in terms of scoring that next sale. So, what elements are we talking about and how can you ensure that your own storefront’s conversion prowess is the best it can possibly be? Here are seven strategies and tactics you can roll out ASAP to step up your optimisation game to ensure your site stands tall. First thing’s first: not all e-commerce platforms are created equal. And while platforms such as BigCommerce, Shopify or Magento may not seem so groundbreakingly different to merchants on the surface, it’s what’s “under the hood” that really counts in terms of site performance. Consider how Manchester-based specialty auto part merchant Awesome GTI managed to increase its revenue by 96% by migrating from Magento to BigCommerce. According to Wayne Ainsworth, the company’s e-commerce manager, it was largely thanks to scalable, conversion-friendly features like live chat, social commerce, automated business-to-business (B2B) vs. B2C audience segmentation and fast page load times, that the brand was able to transform their online business in one fell swoop. The takeaway? Your brand’s platform is arguably as important as your product itself. 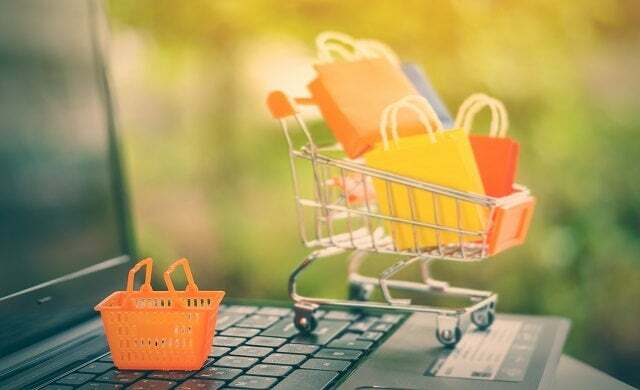 With BigCommerce pushing out even more new features such as WordPress integrations and more robust social commerce integrations, it’s crucial that merchants look beyond the basics when it comes laying the foundation for their storefronts. Proven to build trust and improve conversions, authentic content such as customer photos and user reviews are prime for plastering throughout your product pages. Given that approximately 64% of people read reviews before handing over their hard-earned cash, there’s a reason why e-commerce brands are hungry for user-generated content to seal the deal with skeptics. To take this trust-building a step further, buyers are also empowered to include photos and sound off on their favorite products. This helps convert potential customers and prove to them that your store has a track record. It’s crucial for e-commerce brands to think of product descriptions as more than mere snippets. Not only can descriptions be a potential goldmine for SEO, but also contain conversion-friendly copy that ultimately pushes people to buy. Detailed, scroll-friendly product descriptions like this one from Harry’s prove just how valuable this real estate can be. From keywords that help you rank to industry lingo that your buyers will understand, taking the extra time to craft lengthier product descriptions is a smart move. And this likewise rings true when crafting meta descriptions for individual product categories, too. We live in an era of marketing where seeing is believing. Rather than force visitors to exclusively read through lengthy descriptions, coupling your product pages with videos is a great way to tap into people’s binge-watching tendencies. For example, brands such as Samsung rely heavily on demo videos to highlight their tech products and individual features. At the top of their product pages are large carousels showcasing video content, with “Play Video” being the most prominent call-to-action above the fold. This does double-duty of not only better illustrating what products look like in action, but also lowering your bounce rate as people stick around to watch. Doing both at the same time spells good news for SEO, brand affinity and sales conversions. If you haven’t taken the time to A/B test your site’s creative pieces, you’re inevitably holding back your ability to convert. On-site design elements such as call-to-action placement, copy and even color scheme all have a significant impact on your conversion and bounce rates. Experimenting with these elements could be instrumental to optimising your site, but you’ll never know if you never test. Rather than test manually, tools such as Convert allow you to create multiple versions of your site to test in real-time. Using an intuitive landing page builder, you can experiment with different design elements without stopping the presses, so to speak. A quick pointer, but a crucial one nonetheless. Bear in mind mobile e-commerce sales are on the rise as more and more shoppers are searching for products on-the-go. As such, mobile optimisation is an absolute must and definitely remains something to consider for both your e-commerce platform selection and A/B testing efforts. If you want to double-check that your mobile site is good to go at a glance, tools such as Google’s mobile-friendly tester can provide you some much-needed peace of mind. Lastly, consider that how you nest your products and categories is crucial to both UX and SEO. A well-categorised site is easy for shoppers to navigate, all the while deep categorisation allows you to touch on additional keywords and product categories for SEO juice. For example, brands such as TopShop have specific, nuanced categories for each of their lines of clothing which allow them to hit tons of keywords relevant to their target audience. And although your e-commerce platform should make the process of nesting and navigation straightforward, it’s still worth double-checking that your categorisation strategy is actually hitting on relevant terms. Are you ticking all the boxes of on-site optimisation? There’s no single element that makes a storefront optimised: it’s a combination of them. For the sake of sticking with the best practices and differentiating yourself from your competition in a crowded e-commerce space, consider these strategies as a starting point.